The Mach1 rebuild has had her rear end back on a while ago which looks pretty good and the owner is more than happy with the progress. He was also down on Saturday morning with us to help dismantle the front of the car so we can get the engine out with the gearbox all in one go next week. 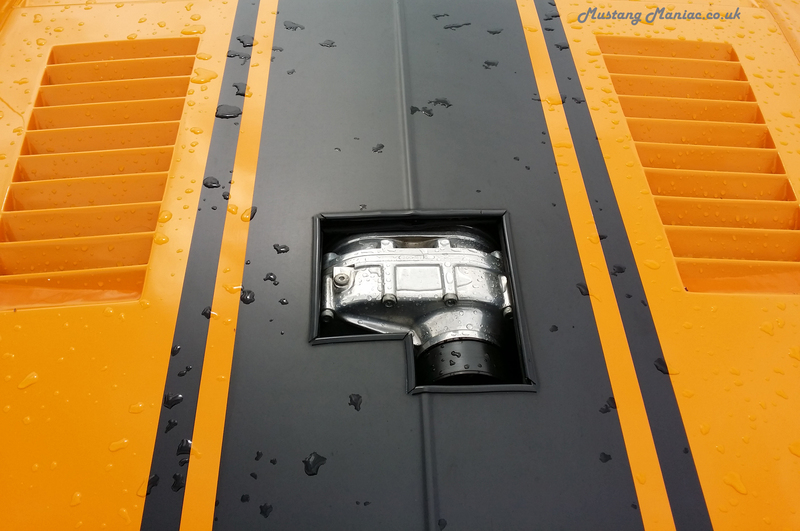 But, first that means disconnecting the engine from the car which is the pipes, wires, mechanical bits etc. So the first pic we have the hood on and then a few pictures of the progress as it goes along. The air-con unit is a huge weight to be added to the car, we are pretty certain that it won’t be going back on again as far as we know. Here the air-con unit and brackets are removed and carefully stored. 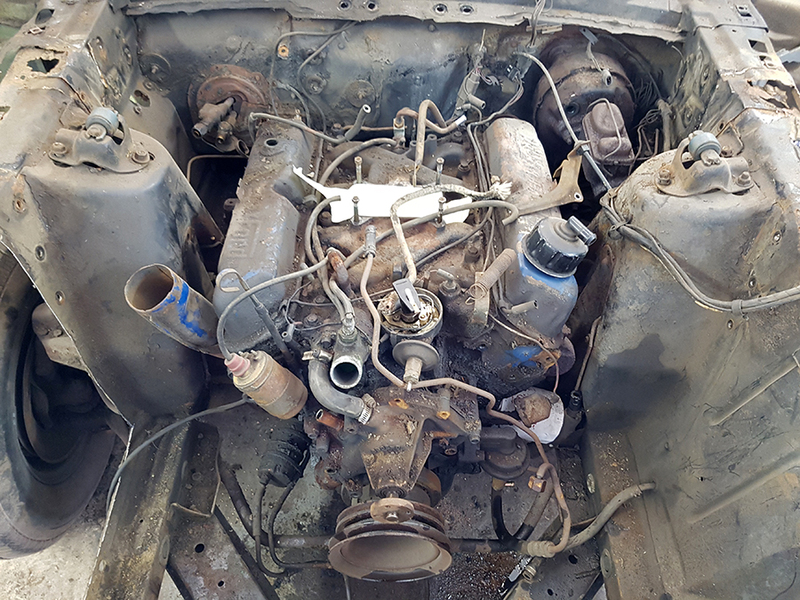 The carb was taken off and ready for the lift plate to go on to pull the big ol’ engine out. There was an issue with the fittings on the pipes, they were so rusted in that undoing the bolts sheared the heads off. Plan B was called into action, cut a couple of perished bits out of the away, just for now until we can get to them properly with the engine out. 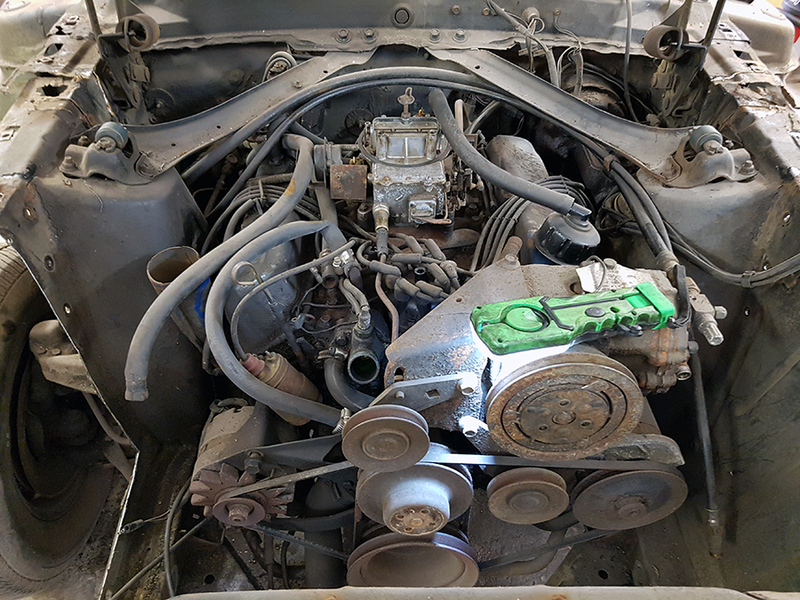 With all the pipes and connections removed the engine is ready to be lifted out. Yogi was talking through the process with the owner on what needed to be done at various points. The next stage was bit daunting, but logical when thinking about it. You don’t often get to see the dash coming out of a Mach1 so here we are, the process. 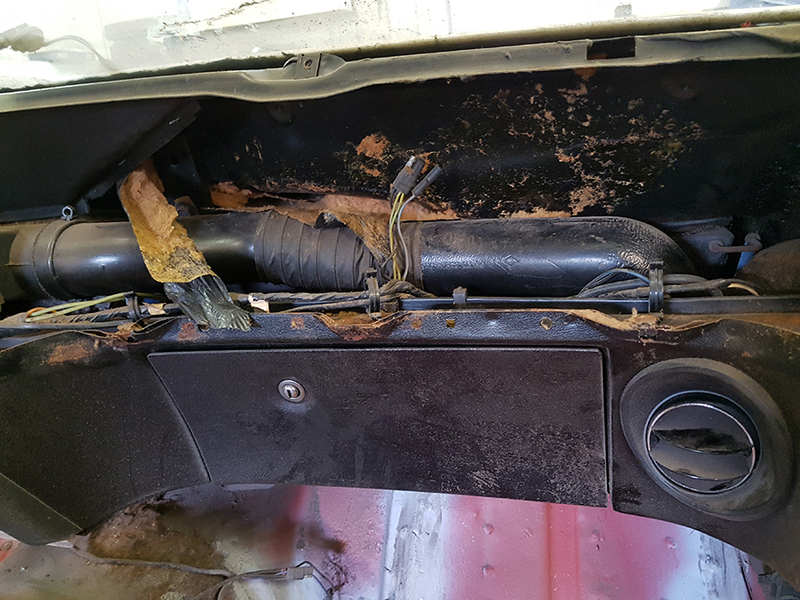 There are a number of screws that need to be undone to slide the dash pad off, which was in surprising good condition and will clean up good as new we are sure. However, as always there is one screw that didn’t want to play ball. The owner spend a fair amount of time getting various drills to drill the head of so the dash could be removed. It’s amazing how a single screw can literally screw up your time scales. If we were going to replace the dash it would be no problem of course as it would just be ripped off. But, you just can’t do that when the part(s) are good and will be reused. Pulling the dash out we found (here comes the tenuous link to the title) the third rodent nest, but this time with no dead animal. We are now certain that there will be no more places for the little creatures to hide as that is now all metal exposed. The smell was a little “off” should we say, but the clean up revealed some very interesting points. The nest was made from the dash insulation padding as we see a few times on old stored up cars. The rodents had not touched a single wire. The owner is a seriously lucky guy in that respect, not a single tooth mark on anything, amazing! The other surprising point was the cowl section. We often see cars that are rusty the cowl will rot out regardless of the model of car, it’s a pretty much a dead cert and we were ready to see daylight. Nope, it’s rock solid and almost factory fresh. We couldn’t believe it, considering some of the other rust damage to the car the most obvious and most hidden part was absolutely fine. Again it’s about time the owner had a break on this car, the result of which has saved a serious amount of work by not having to swap it all out. The driver side needed to come out for some “homework” to be cleaned up. The plastic is brittle with age and needs a bit of TLC when removing, which is where this type of work can keep the costs down by doing this yourself. 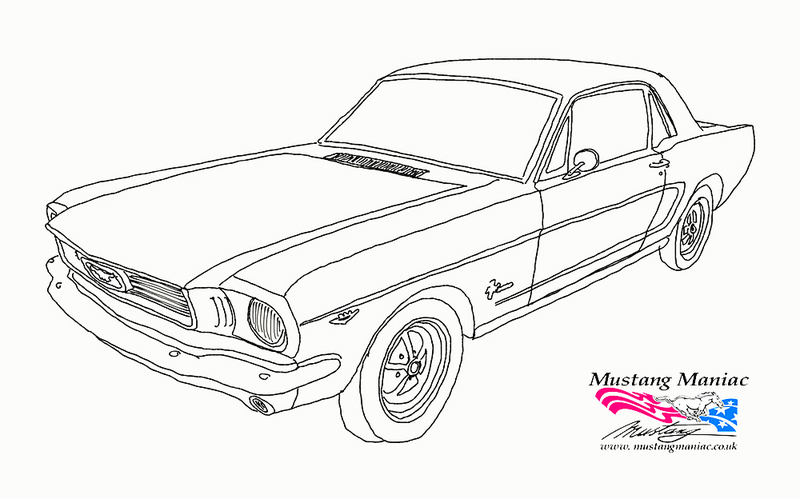 Did you know that the Mach1 was the first to use a printed circuit board for the dash? Once the dash was pulled forward we could see the back of the cluster in all it’s glory. It looks there has been a minor repair to the dash, but nothing we haven’t seen before and in fact this was a pretty neat repair with the jump wire and labelled up nicely. The metal work at the back of the dash once it was all pulled out was also in fantastic shape. A real result. The radio/8 track was last hing out from the dash (for now), again a little know how by Yogi got it out within a few seconds, the owner had taken a little and not got that far being very careful not to damage the sides or the unit. It’s always that much easier when you know how. 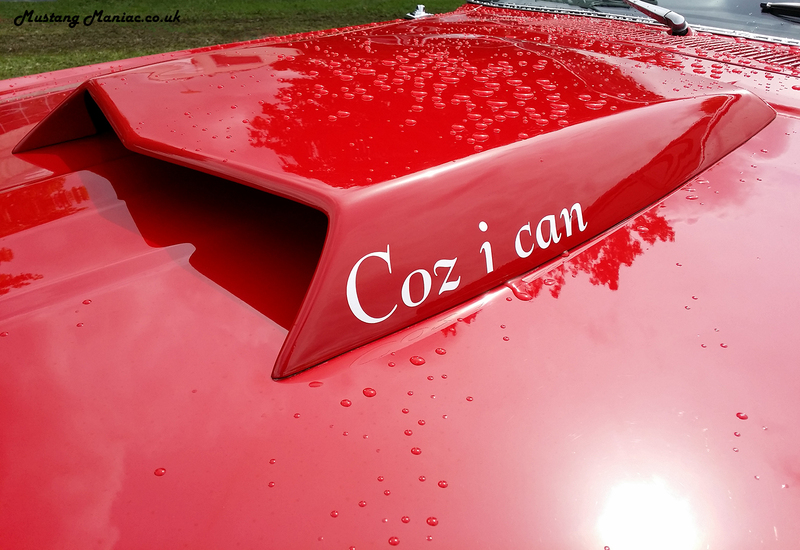 Nope this the name that the other half of the Bully Brothers has called his car which has fat tyres and rear stance that demands a second look. But the reason this little lady was in for was some new back-end lights. Yogi has his lights done a little while ago and of course the two cars need to match. These after market smoke lenses add something very different, especially when they match the truck spoiler. A very simple update and a big change to look at. What do you think? Before and After, what you see here is a beautiful FatAss! Before you ask the colour, it was mixed especially for this car and was called “Dragons Blood”, a unique car colour that suits it perfectly. Once of the very common changes we make are the rear springs. It’s not to often we see a ’69 convertible in for a change of springs that still has the original part number on them. After decades of use they only needed changing now. Adam has had an incredibly handy promotional item made up for a give away. These are portable battery chargers for a mobile phone. How many times have you gone round a car show taken lots of pictures to find out your battery is almost flat? Yep, we all have seen a low warning on our phones, this 5v 2600mAh booster will top up your phone. It’s a solid plastic car with a single cable that charges one end in, and boost the other end out. When being charged the red LED will flash, when boosting the phone the Blue LED will be on. 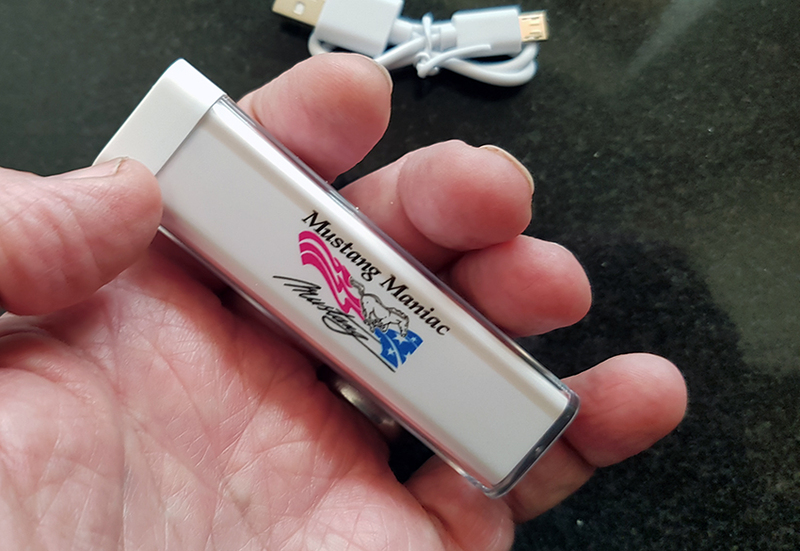 Not just for car shows, but anywhere you need a little extra power, holidays, day out, streaming, low signal areas draining your battery, camping etc. The best bit? It has your favourite Mustang supplier logo on it. How do you get one of these battery boosters? 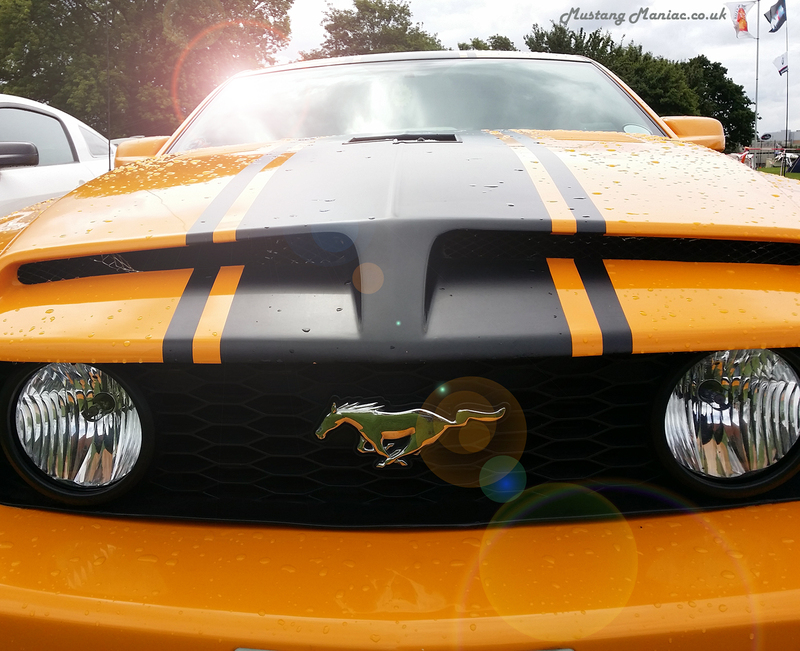 Simple, just order over £300 of anything from Mustang Maniac online, put a note on the order form that you want a booster and it’s all yours, while stocks last that is. Already just under fifty have been sent out from the batch. If you want to buy one, email Adam and I dare say he might sell you one. He don’t know this bit has been put on the blog, yet! 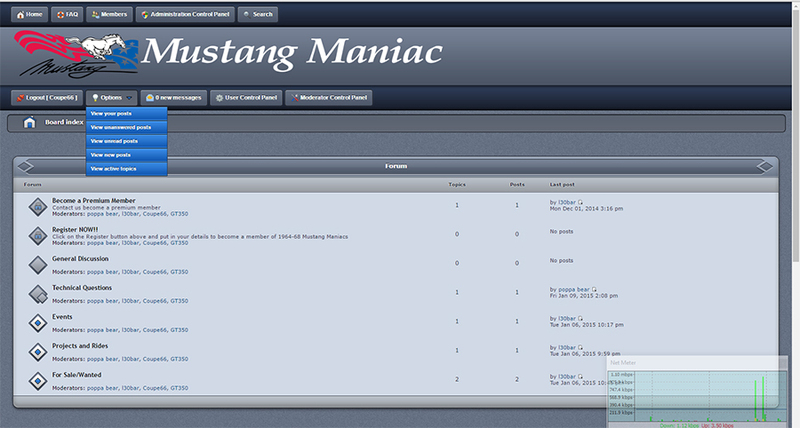 The forum is for members only, it takes only a valid email address to join for FREE, then you have access to some of the best Mustang Maniac minds out there. The membership stops lots of undesirables post spam, moaning or posting rubbish on there. Buy, sell, meetings, parts info its all there for you. 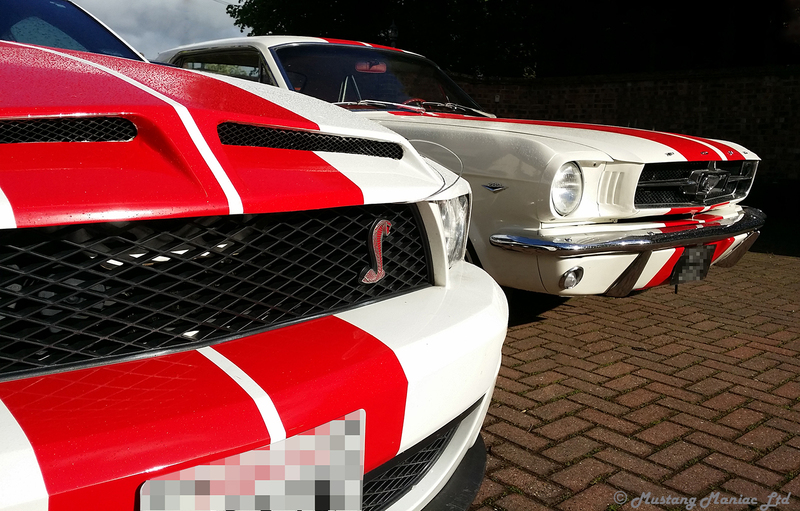 We are looking to do a series of one to one’s with Mustang Maniac, asking the guys about them and their cars. 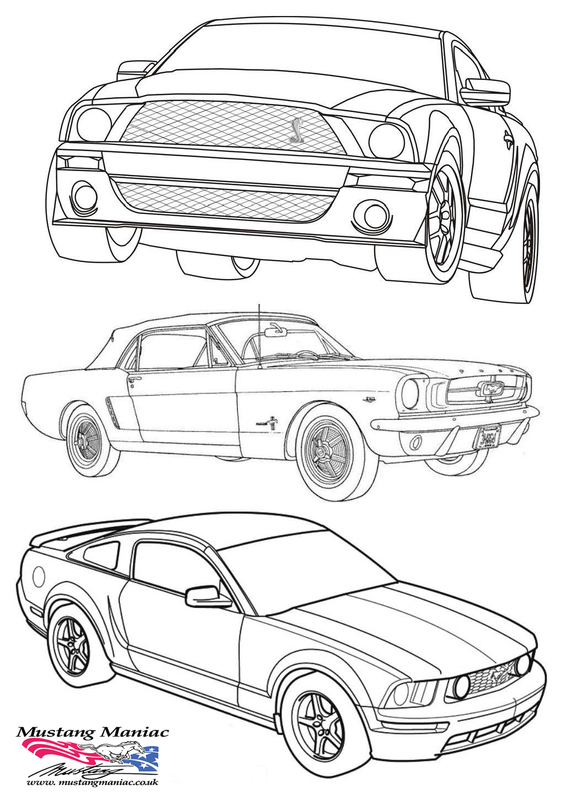 We have a VERY special article coming up with Adam talking about the car that started the whole Mustang Maniac empire. The car? It was called “Enos 2”. This was the original restoration decades ago before pretty much anybody else was doing it to this level of workmanship. It’s going to be a fascinating insight. 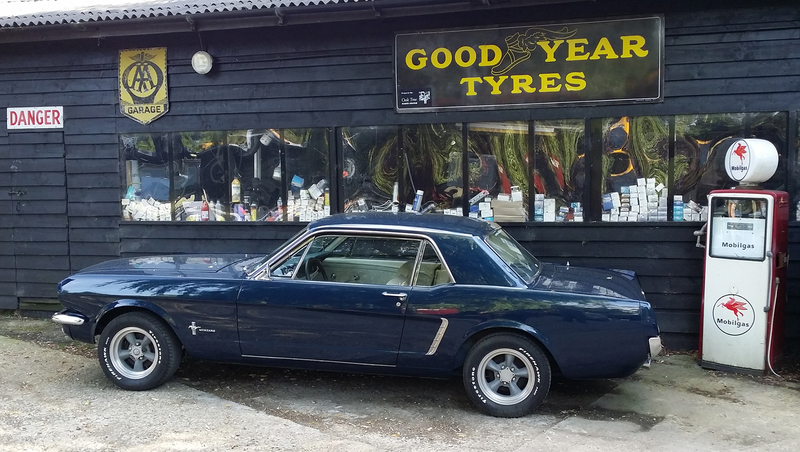 This entry was posted in blog, Customers' Cars, Forum, news, sales, Webshop and tagged air con, barn, carb, dash pad, Dragons's Blood, instrument cluster, Mach1, Mustang, Mustang Maniac, rodents. Bookmark the permalink. Great post. Love those smoked lights I must say. I can’t believe that the rotten rodents didn’t trash the wires. What a result. 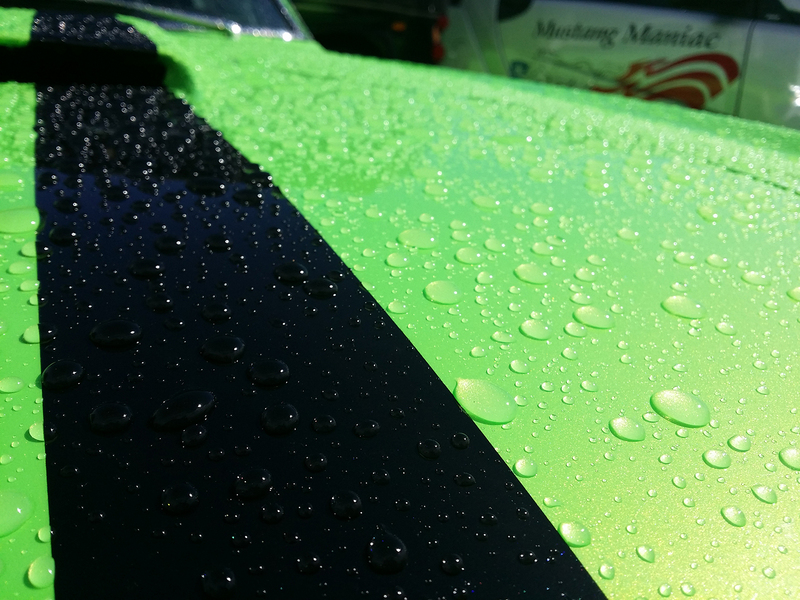 I enjoy seeing your Mustang adventures. Thanks. We try to make an interesting read. On top of that we enjoy what we do.